Sarah Kane is one of Keith Pruitt's high school English students. She reached out to Healing Knots to share her broken heart about losing a mentor, role model and friend. "I've always had issues with seasons—the idea of being in one place yet suspended in wait for another—the idea of a shifting and changing present moment, a foreign and barely peripheral past, and the future, massive and unknown. Having an issue with seasons is a problem, since seasons are the stuff of life. Everything comes in seasons—growth, rest, healing, grief. The literal seasons manifest this concept for me, and winters are horrendous. Last winter was by far the worst I have known—the long, dark days defined by an absence of warmth, compounded by the overwhelming presence of loss in my life. Loss of a dear friend, loss of innocence, loss of peace (and any good substitute for it)—I found myself treading terrifying emotions and sliding into self-harm rituals as a way to cope with my pain (and perhaps confirm it). The feeling that my sorrow was invalid and stupid kept me locked inside guilt and misery, deepening the aching abscess of grief. That winter followed me into spring, into summer, and stayed dense and cloudy in my mind as life carried on into new seasons, new semesters. By the time I was handed a lump of cold, heavy clay on the first day of school, I was ragged inside. Clay was an unexpected challenge. I became my own unexpected challenge. This new medium was so different from my normal one of words and stories. Where words fell flat and stories started wearing thin, clay was dark and dense and required such a literal strength in dealing with it. I felt the ache in my whole body when I wrestled it on the wheel, realizing my weakness. The intricacy and delicate touch required to draw up thin, watery walls made me confront the fact that I am neither gentle nor patient. Nor did I have any understanding of what clay needs to go through to become art. People are like clay. We are kneaded, shaped, scratched, smoothed, drenched in water, color, and heat. The process of making a ceramic piece is more in-depth than I ever imagined. The initial steps are hard enough—taking your cold lump of clay, you toss it onto the wheel and begin the nearly brutal process of centering it. It will rebel—spinning off center, jerking your hands back at you and pulsing like an unruly heartbeat. It will bend your thumbs and invade your fingernails. But, by drenching it in water, and continuing to press and press and press—eventually your clay submits into some form of symmetry. 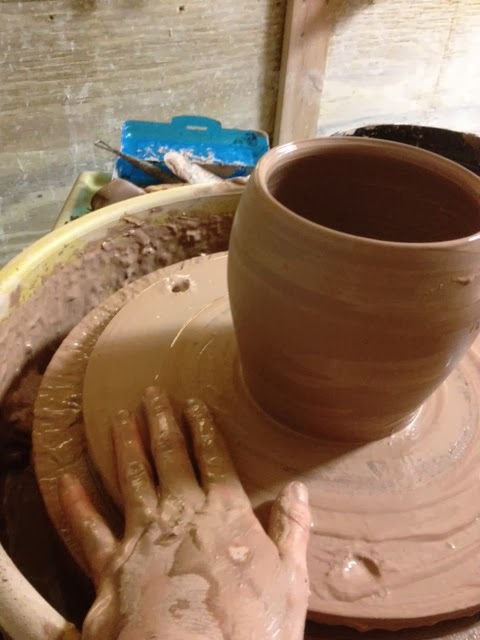 Once symmetrical, you will lift the clay up and press it down and raise it again—and eventually, dip your hand into the heart of it, stretching it open, shaping walls, creating depth, ridges, and dips. My first wobbly bowl, dented in fingerprints, was wired off the wheel and left to dry. I considered it complete. 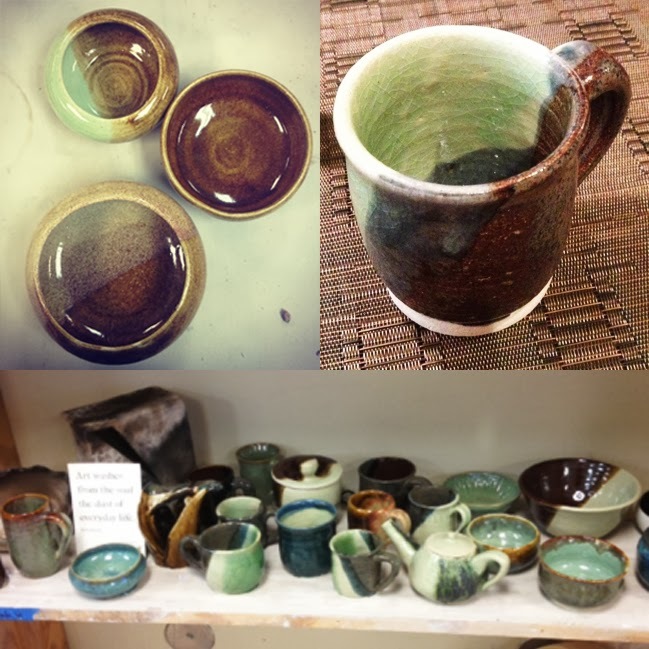 But something I never knew about ceramics is that once bowls are made and dried, they return to the wheel. Upside down, your bowl is placed back onto the wheel-head, and that painstaking process of centering begins for the second time. Using a sharp tool, you spin your bowl and trim off long curls of clay, taking off weight, taking off excess, revealing more deliberately the shape you intended for that initial lump. This is a nerve-wracking process for any potter, and even the most well thrown bowls are at risk of completely being destroyed while trusting a sharp tool and a human hand. Often, I find my pieces become nicked and jagged during this process. It takes a truly patient pair of hands to ease the bowl into symmetry again, and it takes a deliberate mind to remove layers with confidence. If clay is left too thick, it risks disaster under high temperature. The trimming process creates a thin, healthy piece that can withstand the heat of the kiln. I feel for clay during this process. I don’t think I would like being trimmed. I do not like being reduced, or scraped, or brought down. I do not like loss. I do not like trusting a sharp blade not to pierce right through me, or hands to keep me from sliding off center and being sliced. Once your bowl is trimmed, you deliver it into the fires of the kiln for the first time—but, like you returned it to the wheel for more trimming, you will bring it back to the kiln a second time, at an even higher temperature, once you have glazed it with color. In the kiln, clay remembers. It becomes molten and loose. 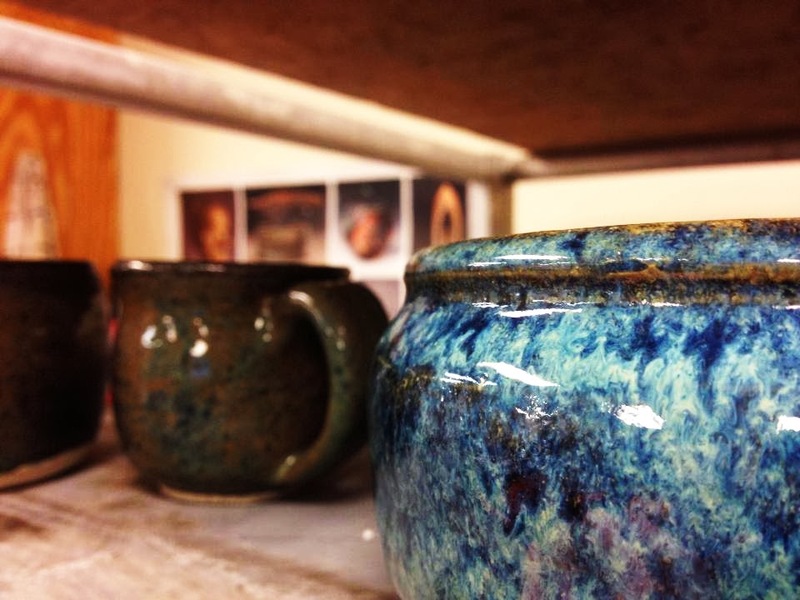 The glaze, which was as dry as dust when your piece entered the kiln, turns to liquid and clings to the clay, which shifts and squirms in the heat. Your piece is now at its most fragile—limp and helplessly detached from your guiding hands. Anything that may have happened to your bowl before firing has the potential to affect it—past injuries rise from within your piece and threaten balance. Any deep hurts become surface flaws. 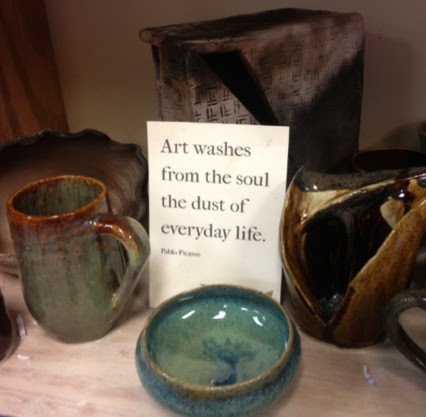 The way your piece was touched before the kiln matters more than ever now. Many of my bowls were pushed and dented while they were still soft. 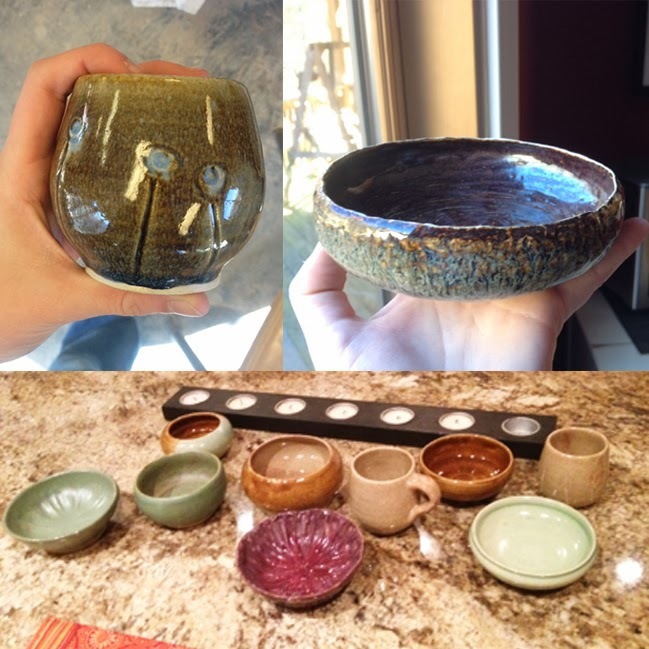 Though I painstakingly covered over the mistakes, re-shaping the clay, smoothing and tweaking, I was horrified when many of my bowls came out disfigured. It’s called warping, and from what I've gathered about clay, it’s impossible to fix—only prevent. I wonder where that leaves me. 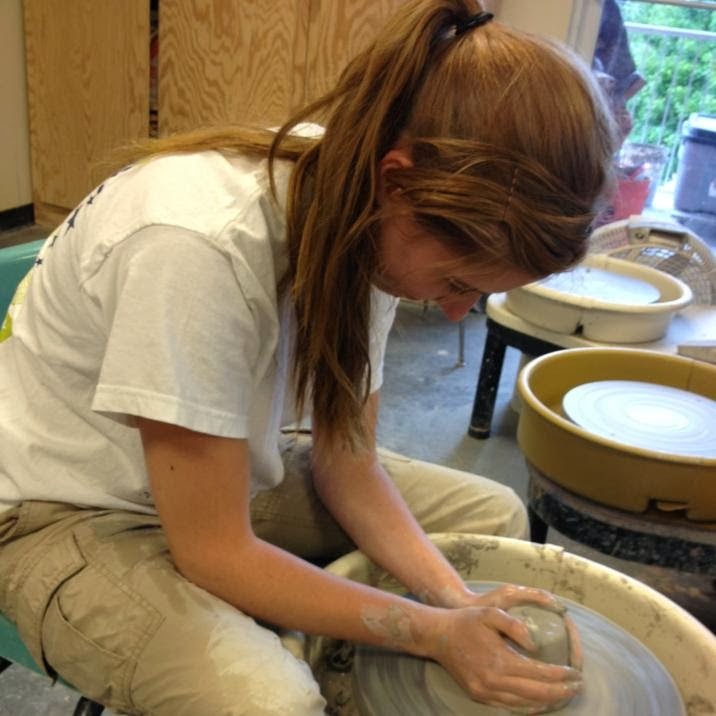 I don’t know if I have yet been through the heat of a kiln—perhaps I have hardly even become centered on the wheel yet. I wrestle with the idea that I may be pierced by loss and sliced by trauma, that I might crack if I become dry—that I will always beat wildly off-center. But the worst of all is the thought that I will repair over my hurts, that I will be deep, beautiful, and smooth when I enter the heat of the kiln—but that every dent will reappear, I will bend and flux and fall—that because of my pain, I will be rendered misshapen and useless and warped. 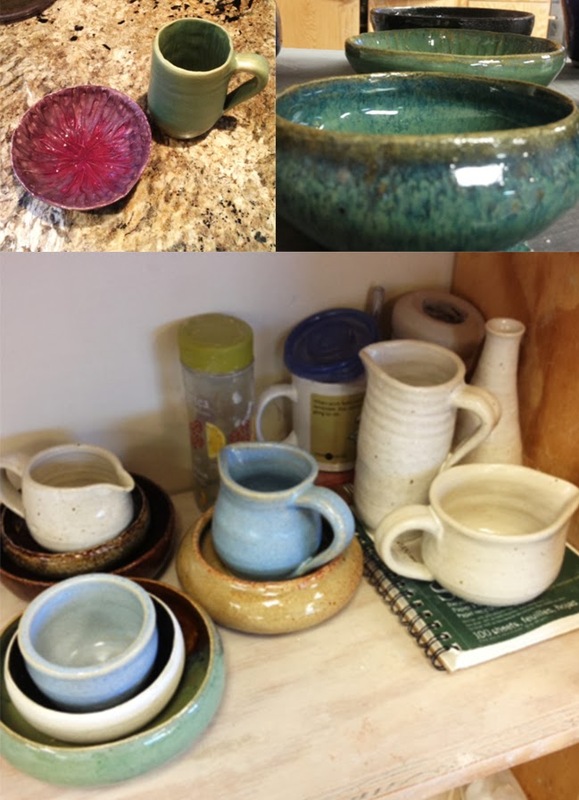 In conclusion, having exhaustively researched the subject, I think the only way to prevent warping is to crawl into the kiln with my pieces and hold them while they melt. Hold them while they are under intense pressure and danger—hold them in my hands, the hands that made them, and the hands that surely know how to preserve them. With all my pieces, there is a point I have to let them go. I make them, but I cannot save them. You are not making yourself. Whoever IS making me often seems cruel—many days I feel pushed and sliced and off-center. Sometimes I feel dry and dusty, sometimes molten. Sometimes pressed still and silent, and sometimes whirling wildly out of control. But if the one making me is strong enough to set a world spinning into perfectly centered motion—strong enough to send it flying around the sun—strong enough to keep a baby suspended in his mother’s watery womb for nine months, strong enough to keep oceans contained by strips of sand and to make stars sing in an atmosphere that would crush lungs—to make birds fly with fragile, hollow bones and people sacrifice their lives for something so ambiguous as “love”—then why wouldn't he hold his preciously shaped pieces in the greatest fire they will ever know? With that idea flickering in my mind, I survive seasons." I think this is the most beautiful thing I have ever read. Astounding.